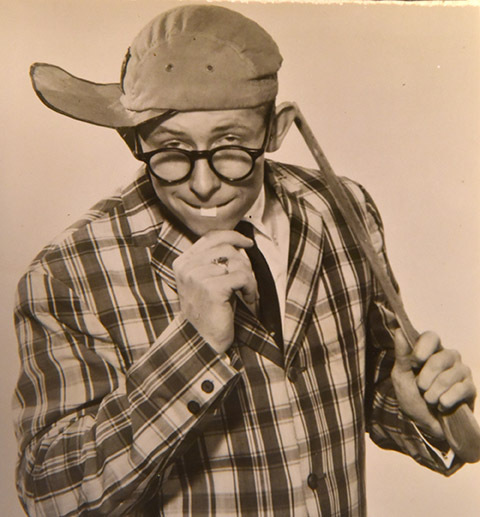 Billy Hudson used a variety of props and outfits to create characters during his organ performances. Billy Hudson, a native of Bucyrus, learned early in life that he could make more money playing the accordion for his father at lodge events than he every could working on the farm. His natural talent for music and comedy led him into a professional career, despite holding a bachelor’s degree in education. Hudson was represented by a talent agency that put him in touch with Louis DiFabio of DiFabio’s Italian Restaurant on The Strip. That led to an interview with Louis and being hired for the 1965 season. Hudson still recalls how Louis had to cut off some of the railing on the stage to accommodate Hudson’s large instrument. When Louis’ father, Severino, discovered that his hard work was being dismantled for a musician, he declared that his son should have found a violin player. He says Severino put him up in the Hungarian motel that was across the street from DiFabio’s at the time. His pay also included one meal a day, and DiFabio, being a farm boy, chose roast beef. After a few days of this, Severino complained to his son that the farm boy’s appetite for meat and potatoes was costing the restaurant too much money and the boy needed to learn how to east pasta. 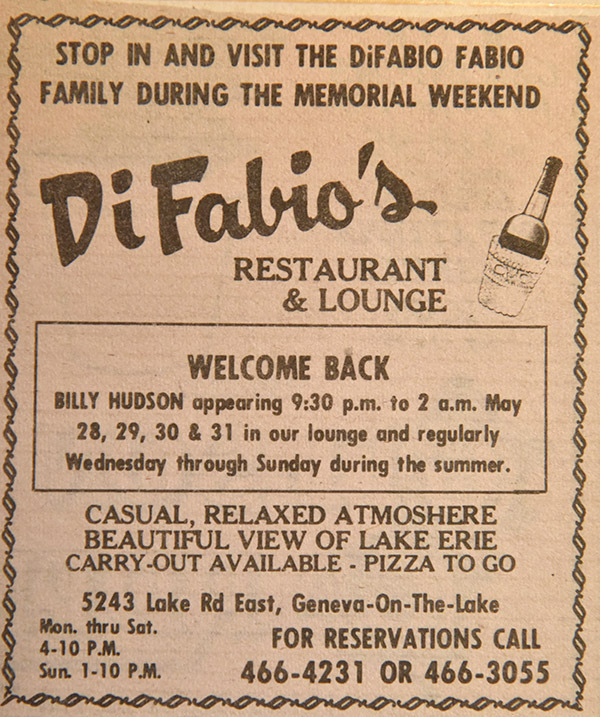 Although the start was rocky, the long-term relationship between Hudson and the DiFabio family was very positive. Louis and Billy became good friends and golfed together. Hudson played the restaurant in the summer months for 17 years. During the winter months, Billy traveled across the country performing in hotels from Ohio to the West. 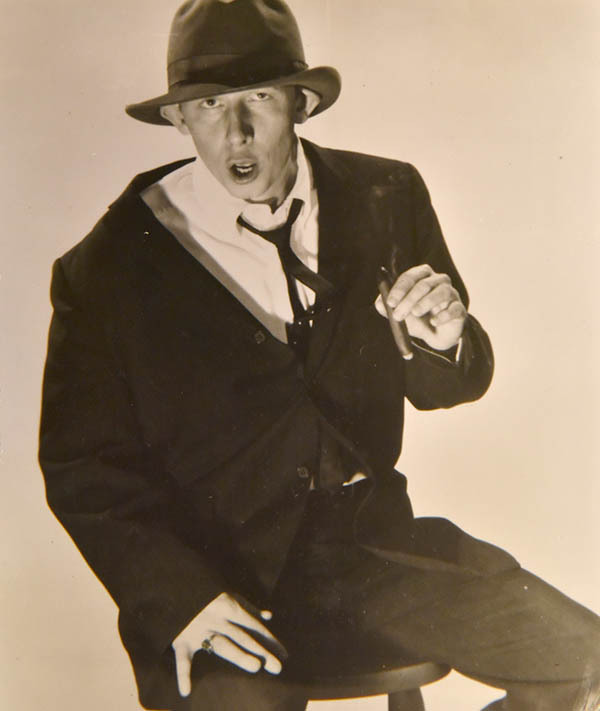 He used a number of disguises and props to add comedy to his act, took requests from the audience and ignored them, and played a musical form of Jeopardy with the audience. Virtually every summer for two decades he returned to GOTL and played for DiFabio’s. In the early 1980s it became apparent to Billy that the live music business was becoming untenable. He signed off and switched careers, starting a home maintenance business that quickly grew. Now retired, Billy lives just north of The Strip on North Broadway. He occasionally plays the organ at church, but no longer owns one.